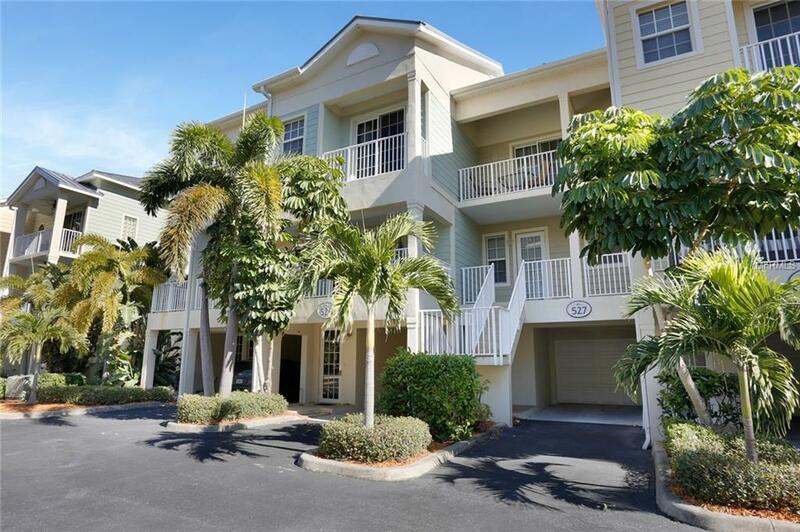 WATERFRONT town home with metal roof, 4 spacious terraces to enjoy year round indoor/outdoor living in the seaside village of Little Harbor. Click Tour 2 beside of Map icon to view Aerial Tour. 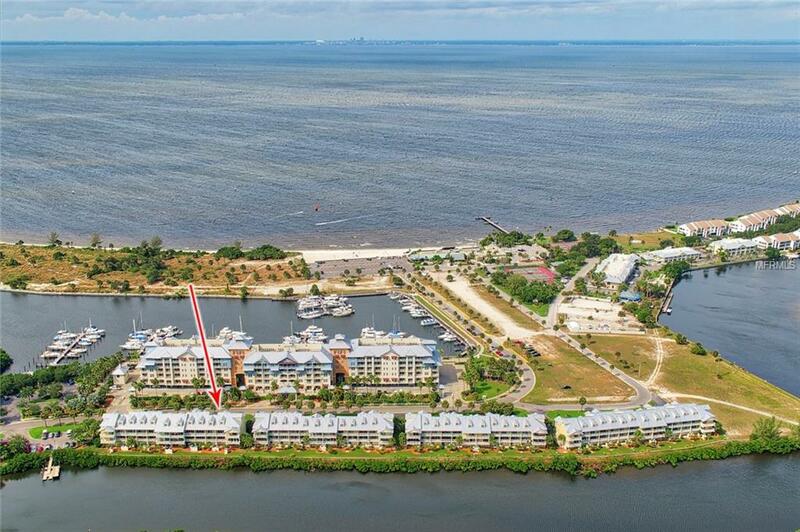 This destination resort type of lifestyle offers an on site white sand and secluded BEACH, 2 waterfront restaurants/sports/tiki bar featuring live music weekly, tennis courts, fitness centers, heated swimming pools, deep water marinas, & dry storage w/ slip availability. 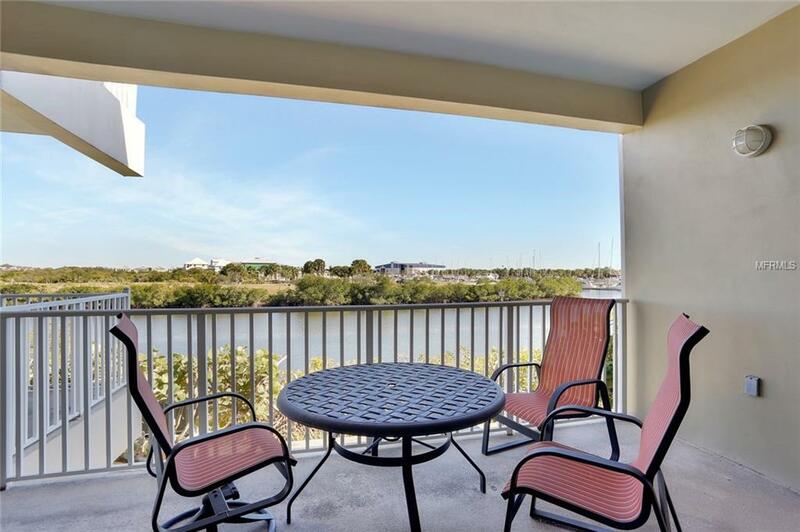 BOATERS paradise with direct access to the Bay/Gulf-no lifts or bridges. Kayak/canoe launch dock, perfect to enjoy canoeing & kayaking on the RIVER and canals, while enjoying dolphin & manatee sightings. FISHING mecca. Great primary/secondary home/investment with minimum rentals being weekly. The town home has breathtaking water views of both the wide canal & marina, wonderful to watch the boats traveling to and from the Bay. 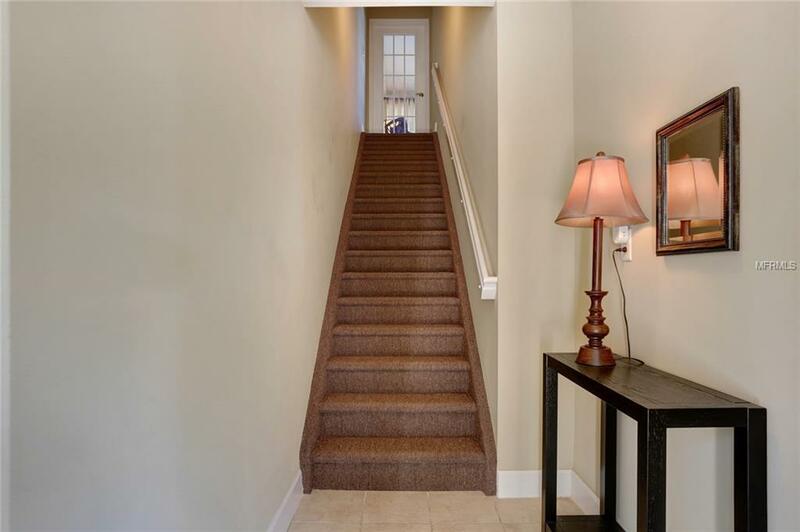 Upgrades include Granite counters throughout, complimenting the white kitchen and bathroom cabinets. Along with the living room, each bedroom has its own terrace! En suite bathrooms for privacy and convenience. Recently painted, newer stair carpet, refrig 2015, new AC compressor 2016, second home like new. Furniture optional. Desirable location-approximately half hour drive to Tampa, St. Pete, and Sarasota. Shopping, hospitals, restaurants, and golf courses all near by. When it comes to value, nothing compares to this unique waterfront community. Being sold AS IS for the convenience of the Seller. The taxes INCLUDE the CDD.